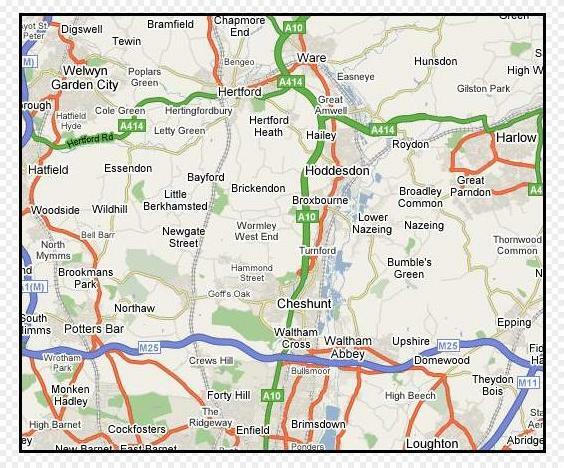 Because we are a mobile service, we are restricted to working within a certain area of the M25 junction 25 (Enfield). The map below is a guideline as to the area in which we work. If your location is close to our operating border, please do not hesitate to give us a call to see if we can be of service.